The SDK toolkit is our most advanced product and the most powerful 3D PDF toolkit on the market, designed for 3D developers who want to lead and innovate. With thousands of permutations and hundreds of functions within its full, rich API, developers can add instant competitive advantage and enhance their 3D tools with user-centric 3D PDF features unavailable elsewhere. Working in partnership with our strategic development team, you’ll be able to take full advantage of our intuitive, intelligent system, patented technology and unrivalled graphics for fast, powerful and seamless one-click integration. 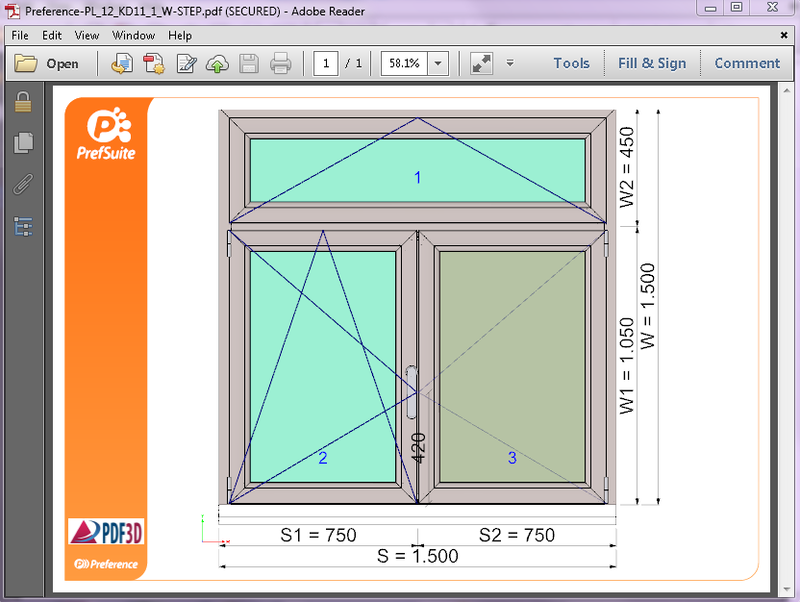 Let us show you round PDF3D SDK PRO. Request a personalised, web walk-through session. If you’re not ready for the heavyweight development solution but still want fast integration of our 1-click 3D PDF conversion into your tool, take a look at PDF3D XML Solution. Built by developers for developers, SDK PRO is both straightforward and intuitive without sacrificing its renowned technological sophistication. It can automatically set defaults and hide underlying complexity to save you time but can still be fully manipulated to integrate with your system exactly how you want it. Working as strategic partners, we’ll show you how to utilize the power of our engine to bring exceptional value to your users. Our system is robust and well-tested. With a well-designed C++ interface, dlls, utilities and source examples, your users will be able to generate 3D PDF files simply by clicking the "Save as 3D PDF" button which can be hidden within your own application. PDF3D SDK PRO is a genuine standalone product with all the tech and code you need inside. No other software or integration of additional libraries is necessary because the SDK Library covers it all. Everything you need to integrate our PDF Converter with your own systems and processes is included in PDF3D SDK PRO toolkit, ready to use. Watch the video here. Many 3D PDF conversion tools struggle to convert 3D Data without distorting the original model. PDF3D® SDK PRO is different. Using U3D Right Hemisphere Compression and PRC (pure), and PRC-HCT (Highly Compressed Tessellation), it generates superior image and text quality, without disruption to the raw data. 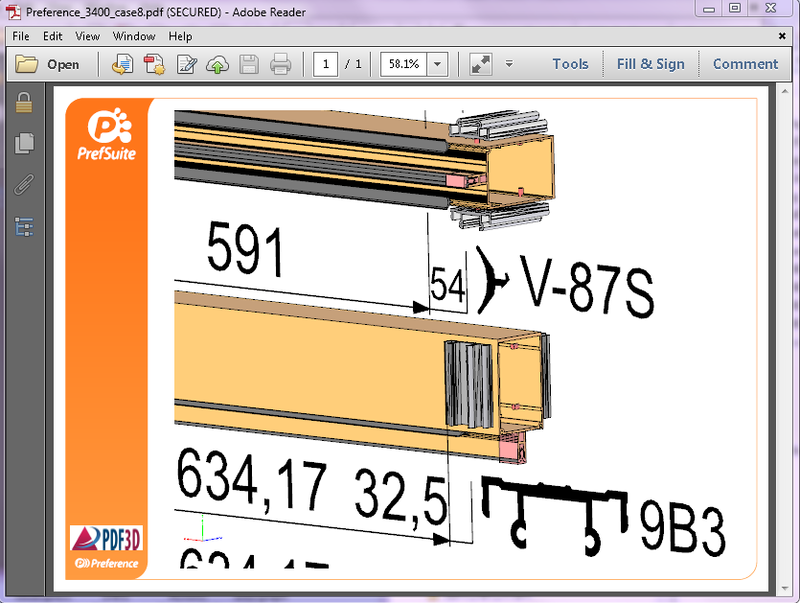 Take a look at some example, interactive PDF images in the gallery. Whilst PDF3D has been popular with the manufacturing and engineering industries over many years, we continue to spend as much time developing features for geospatial, oil & gas, dental, CAE and data visualization organizations, too. As a result, our SDK includes many graphic formats and features, such as texture management and panoramic 360 images, unavailable elsewhere. The toolkit is packed with features for developers, designers and system architects. It is fully compatible with current developer tools, programming languages, applications and libraries, with a long list of supported formats including DWG, XML, ParaView, PowerPoint, VRML, and VTK. With animation modes, metadata options, geospatial features, and a multitude of styling colours, layouts, fonts and templates, SDK gives you endless possibilities to enhance and present 3D data. The PDF3D SDK PRO toolkit is used worldwide by enterprise system architects, programmers, web designers, developers and production workflow providers which is why we’ve included some extra tools to make life even easier. We've included the PDF3D XML Server, which enables server-side conversion deployment. Fully compatible with modern Programmer Development Tools (C++, C# .NET, VB, CMake, GCC, MS Visual Studio, Java, Perl, Python, Ruby), visuals can also be displayed in applications or web server environments with keywords and hyperlinks per 3D object, which snap directly to other parts of the same document or external URLs for dynamic content. For Teigha (Open Design Alliance) based applications, the DWG, DXF and DGN, file formats are supported, with ready-to-use conversion to highly compressed PRC based 3D PDF, with conversion filtering options for remeshing, simplification and assembly merging. For VTK (Visualization Tool Kit) based applications, typical VTK actors, events, polydata mesh types are supported, with a collection of ready-to-use examples, even allowing re-linking into your own favourite version of VTK. 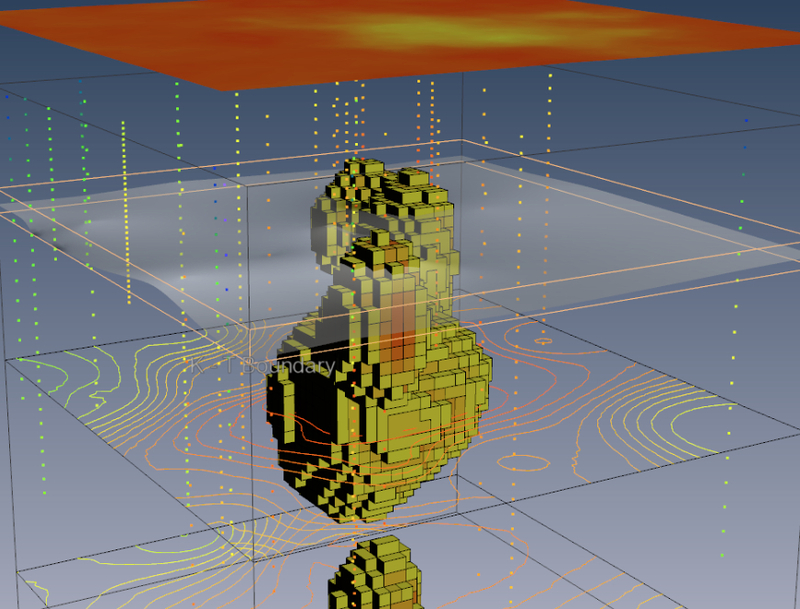 For Coin3D (Open Inventor) and VRML based applications, the PDF3D SDK Library includes ready-to-use integration classes, examples and tools, as stand-alone data converters and complete with user interface. The PDF3D-SDK integration with Coin3D includes extensions for special types of IV, VRML, including GeoVRML and key-frame articulated motion animation. For developers, just simply pass in the root scene node and PDF3D-SDK layers take over. 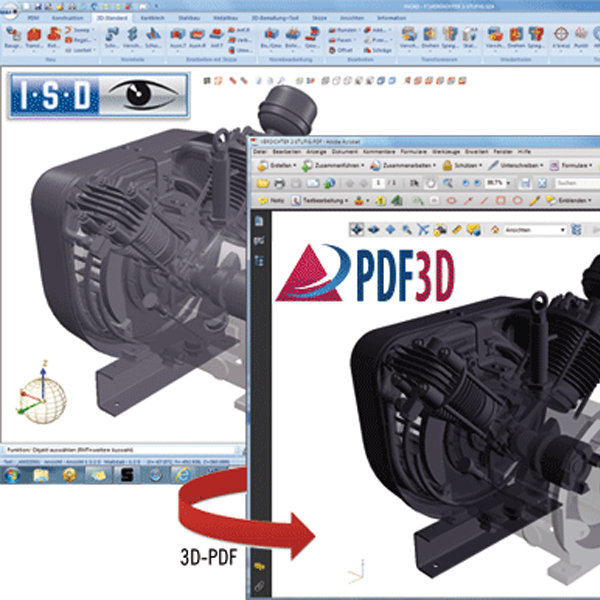 The PDF3D ParaView Plugin is included for direct integration inside the ParaView menus. The Plugin enables ParaView users to export scenes, specifically with 3D content to 3D PDF files and also supports the export of time-sequence animation, spreadsheets and 2D charts, allowing you to automate the creation of graphically rich, 3D technical reports. The PDF3D in PowerPoint has been included to enable you to use 3D PDFs directly within presentations without having to leave the programme. It allows the user to view a 3D PDF file right inside any PowerPoint® slide, and interact with 3D rotation without any additional coding, scripting, or complex setup. 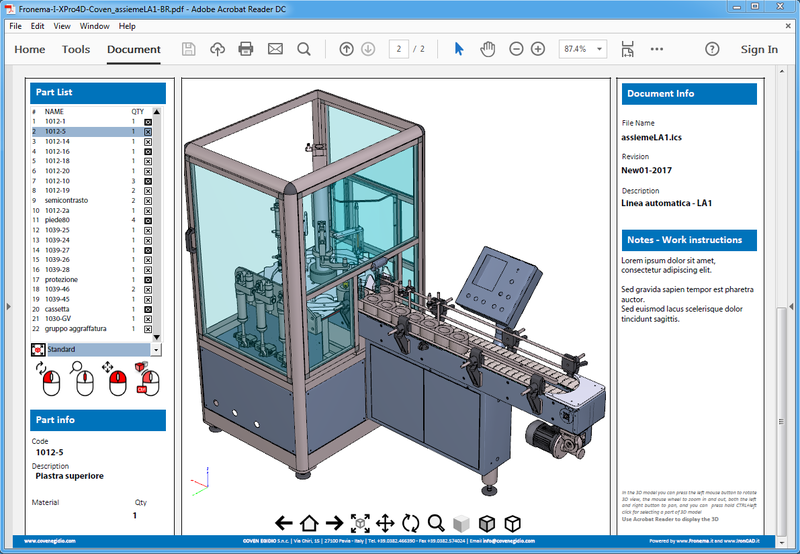 For OpenSceneGraph based applications, the PDF3D SDK PRO Library includes ready-to-use integration classes, examples and tools, as stand-alone data converters and complete with user interface. The PDF3D-SDK PRO integration with OpenSceneGraph includes scene database loader plugins and key-frame articulated motion animation. For developers, just simply pass in the root scene node and PDF3D-SDK PRO layers take over..
Let us show you round PDF3D SDK PRO. Request a personalised, on-screen walk-through. Language APIs for C++, C# .NET, Java, Python, IronPython. Combines U3D, U3D-RHC, PRC, PRC-HCT with PDF embedding in one easy to use Library/API. Fully independent implementation of PRC, RHC compression systems. Options to generate 3D PDF, or U3D (Universal 3D), PRC (Product Representation Compressed) formats. Animation modes included for model sequences or rigid body dynamic movement. Metadata query supported, each node can report arbitrary text to PDF Forms. Location probe and Z scale factor controls available for PDF advanced navigation. Full 2D API for text, graphics, images, legends, titles on PDF page. 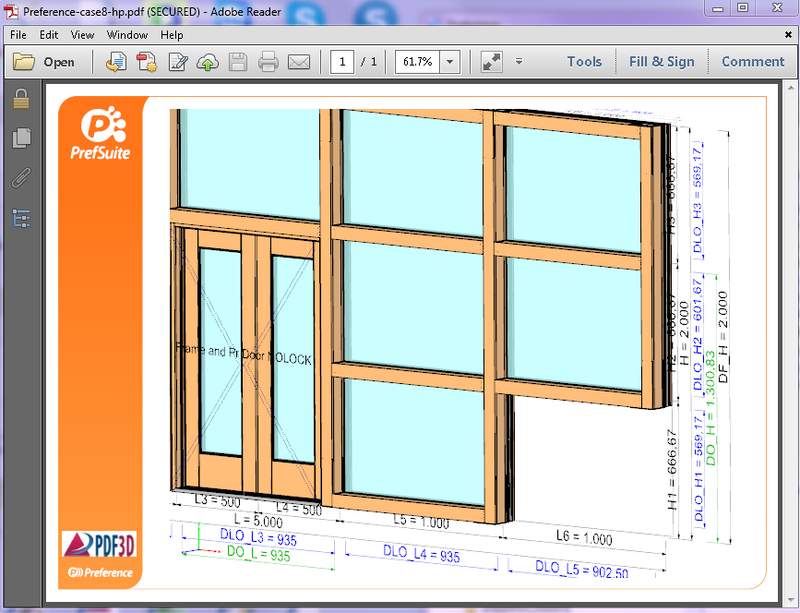 Injection of 3D views into existing PDF documents, allows multitude of workflows and PDF Template Styles. Dynamic 3D labels, always face viewer in 3D scene. Standard Adobe Form controls or advanced Flash-based PDF page menus. Automatic creation of default view for 3D scene, including part-isolating PMI views. Unicode fonts for UTF8 or UTF16 on 2D page or 3D labels. File converters for popular file formats such as DWG, STL, 3DS and VRML. 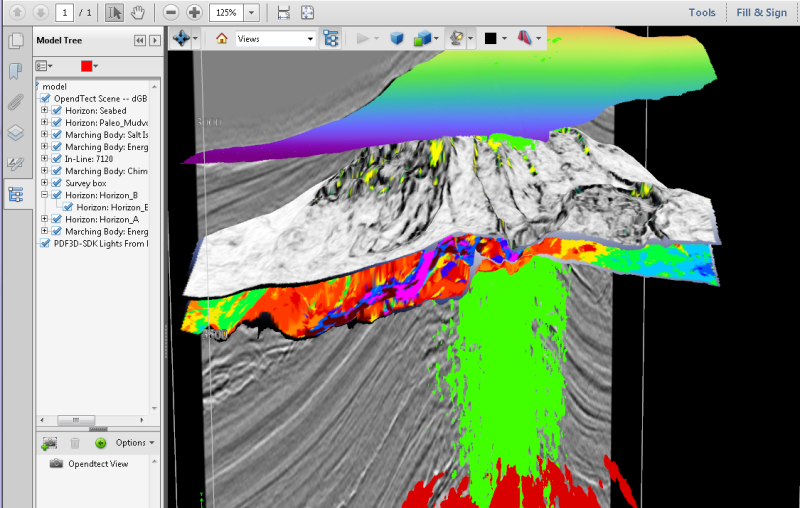 Patented high compression encoding methods for highly efficient terrain grids, colors, textures in 3D PDF generation. Geospatial coordinate system encoding, both 2D and 3D Geospatial PDF support. Conversion Module, captures 3D model content and attributes, and provides service classes and interfaces to help convert a 3D Model into U3D data structures. Export Module - 3D PDF file generation, with annotation. Helps to export the U3D or PRC data structures into a U3D/PRC file or fully embeds into a PDF file. All files are generated directly by the PDF3D Library without intermediate files. PDF page management, injection into existing documents, security settings, and capability for adding full 2D content for images, graphics and text. Get in touch for a more detailed discussion how it can solve real-word needs - Request the discussion here. After downloading, save this EXE on your local file system. Double-click or run this installer. Elevated administrative rights will be requested during the install process, as the installer creates registry settings and new entries into the desktop start menus. The application files normally are placed within the "Program Files" area which also require administrative rights. Multiple SDK's can be installed side-by-side for different versions or configurations if needed. For Trial, single node-locked or floating license types, after installing, first run the PDF3D License utility. Use this to request a license. Administrator priveleges are not required to request or activate a license. If firewalls or network policies block the license request communication to the pdf3d.com website, please push "show codes" and send these by any available means of communication. Other license options are available. Any license keys are NOT removed, so if the software is re-installed or upgraded the same keys should be functional. Multiple SDK installs may share the same license.